Knowing Your Yeast: a follow-up. Did you read the blog post I wrote last year called “The Importance of Knowing Your Yeast“? In short, I said that I didn’t know of any studies identifying and analysing naturally occuring ambient yeasts in winemaking. I’m happy to say that I stand corrected! 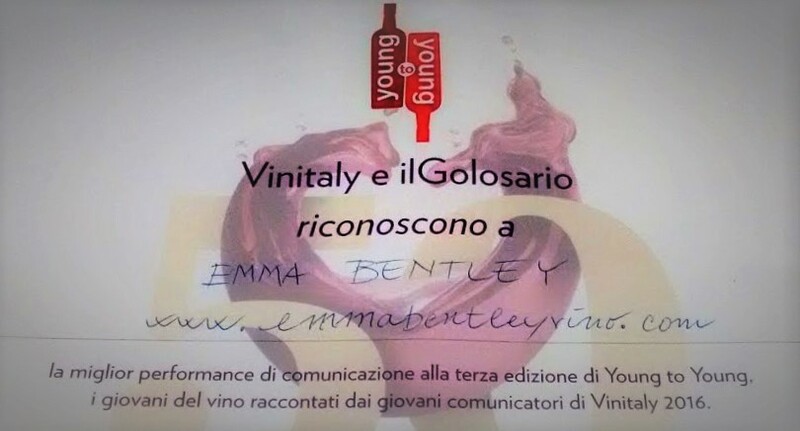 The Benanti Winery, on Mount Etna in Sicily, embarked upon an ambitious five-year study with Istituto Regionale della Vite e del Vino in Palermo in 2005. The full methodology and results are going to be published later this year. This is just a sneak-peak. Before I launch into the detail, I should be explain what a palmento is. Essentially, it is the building containing an open-air stone tub into which the crushed grape juice runs for the alcoholic fermentation. 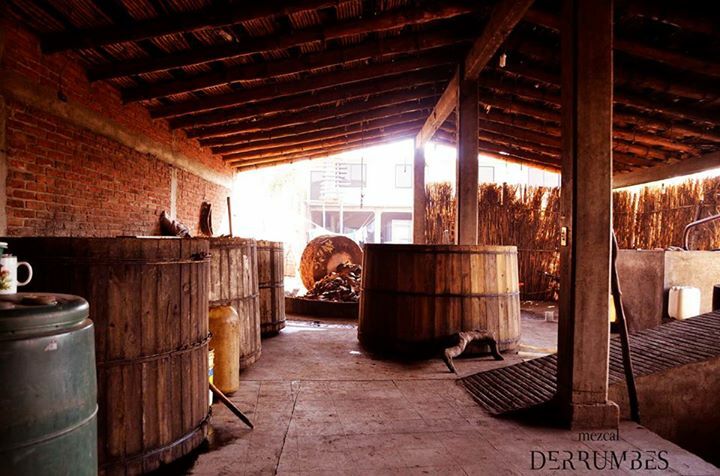 It is very similar to Cantillon’s “chapel” and the fermentation pits in authentic mezcal production. Ventilation is vitally important in the palmento because not only is there indigenous yeast on the grape skins but there are also many ambient yeasts in the air. 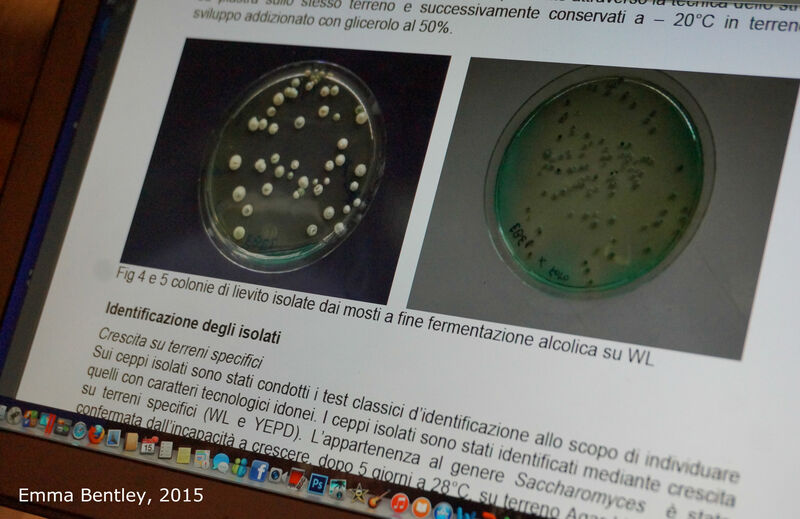 For this study, the researchers took 4 palmenti where commercial yeasts have never been used. They then identified over 400 different strains of yeasts that were naturally present in these places. 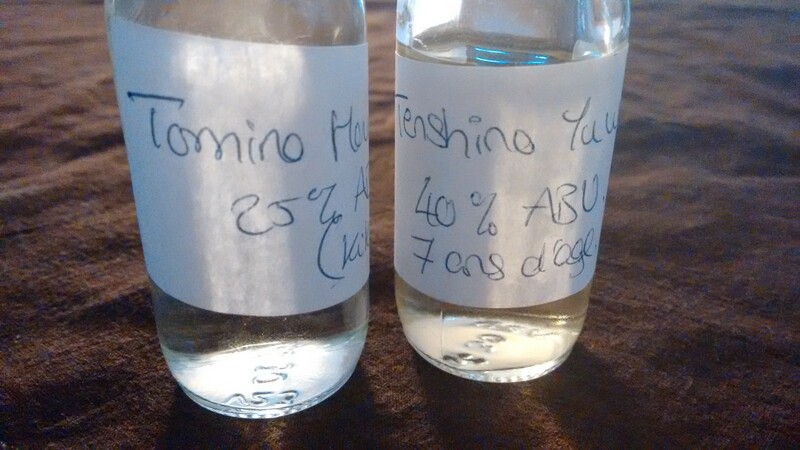 Of these, there were 13 strains that were considered interesting for alcoholic fermentation. The conclusion is that Benanti have taken 4 of these strains and patented them for their own exclusive use. It’s a selected indigenous yeast, if you like. That, admittedly, is rather a contradiction in terms. I’m sure there will be some people who would argue why even bother selecting a naturally-found ambient yeast. It should be understood that nowadays, the palmento cannot be used for making Etna DOC wines…. and that’s a whole other kettle of fish… Winemaking now takes place at controlled temperatures in stainless steel rather than in those traditional palmenti. The Benanti winery has also grown to a size and gained such a reputation that consistency is very important for them. It seems to me that this study is effectively their manifestation of a desire to create a link between tradition and modernity. Of wanting to dock their caps to history albeit in a contemporary context and to find a way to use nature in conventional winemaking. The full report will be published later this year. The first type of yeast that I was introduced to was bakers’ yeast, aka saccharomyces cerevisiae. I would drag my teenage self out of bed every Thursday morning at 6am to head down to the bakehouse and knead 200 2lb loaves. I also used to volunteer on Wednesday evenings to prepare a big vat of yeast and warm water. By morning, the yeast was ready to go. I loved that funky smell and the way it had miraculously frothed up. Yeast is also one of the buzzwords of natural wine. The debate between ambient vs cultured yeasts is one of the key sticky points between the two camps. Yet very rarely do we find out exactly which yeasts are being used. For the layman who is curious about natural fermentation, the answer “it’s precipitated by yeasts which are found naturally on the skins and in the air” seems to suffice. The thing is, have we ever actually stopped to ask exactly what is doing the work? Most natural wine producers are so small they don’t have the means to do extensive lab-testing. If the yeasts do their job and the alcoholic fermentation happens correctly, the winemaker seems content enough. 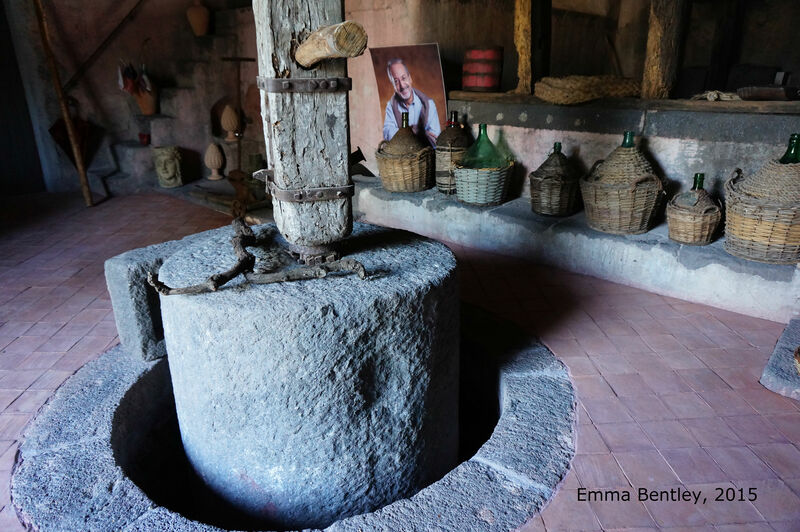 Mezcal, the agave-based spirit that is too often thought of as tequila’s little brother, is “naturally” fermented in large oak vats, in the open air, before distillation. For the basis of this comparison, I’m only refering to small-scale, traditional mezcal where the addition of any kind of “fermentation accelerator” is not permitted. Despite the elevated temperatures in Mexico, it takes approximately four to ten days for the fermentation in Oaxaca. Very definitely comparable with natural wine-making. 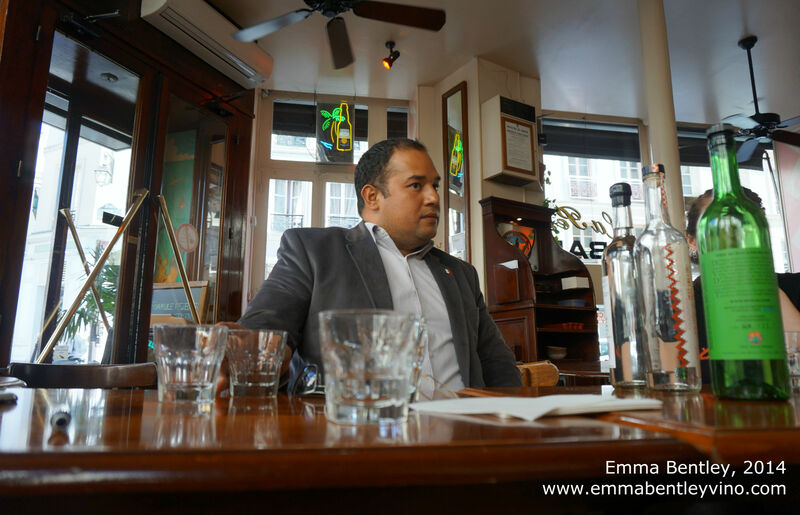 Hipocrates, the President of the CRM (previously known as COMERCAM) gave a fascinating masterclass at the La Perla bar in Paris in April 2014. Four months on and I’m still thinking about it. He shared some pioneering research that he had conducted on the presence of yeasts at the different stages of fermentation in different palenque. He identified sixteen different strains of naturally-occuring, airborne yeasts. 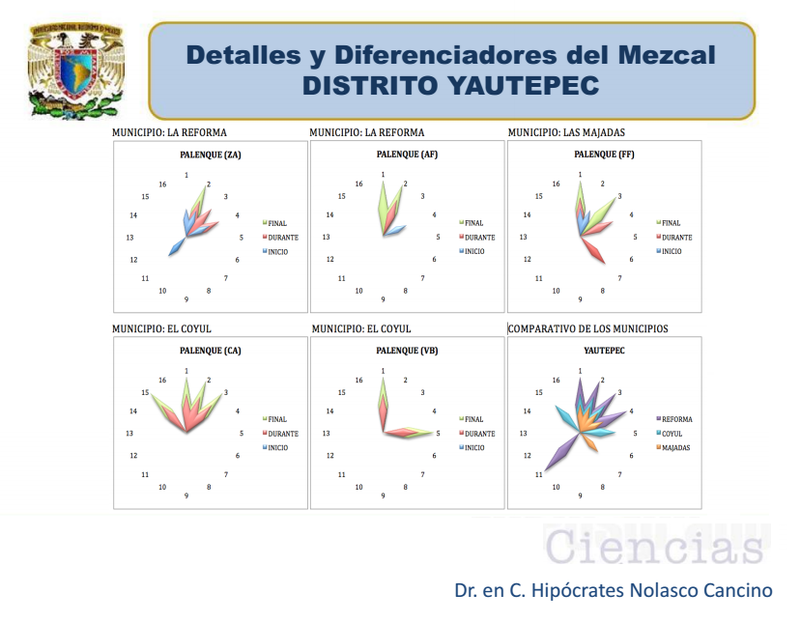 The diagram above shows the extent of the presence of these yeasts in different producers within the Yautepec region at three different moments during the fermentation. Take the Palenque ZA for example (top left), at the beginning they have equal amounts of 1, 2, 4 and 11. Half way through, there’s just 2, 3 and 4. Right at the end, there’s a lot of 2. Conversely, Palenque VB (bottom middle) only has two strains (1 and 5) which both appear late in the process and in equal measure. Why does this matter? Well, we know that the yeasts play a key part in defining the flavour profile of the final liquid. If we know which yeasts are present, we have a scientific explanation for why certain mezcals taste alike and why others don’t. I do not know of any similar studies for winemaking. * The most recent study I’ve seen in a similar field coming out of Europe was from INRA in Montpellier (here) confirming that wasps are a vector for the natural spread of yeast within a vineyard. But, seriously, did we not know that already?! I suppose the crux of the matter is to ask why natural winemakers are happy to maintain a veil of mystery? I would be prepared to argue that natural wine has long been defining itself by what it is not. A rather reactionary, anti-establishment approach, if you like. I am certainly not advocating any kind of manipulation in winemaking but wouldn’t it be nice, just sometimes, to know what nature is doing instead? For further reading, I recommend this article on “yeast communities in a natural tequila fermentation” by Marc-André Lachance at the Herradura distillery… but if you want to get any further than the abstract, it’ll set you back 40€. * I acknowledge that we test barrels for the presence of “bad yeasts” such as bretts before resell, but this is for a commercial interest rather than furthering our knowledge of natural winemaking.